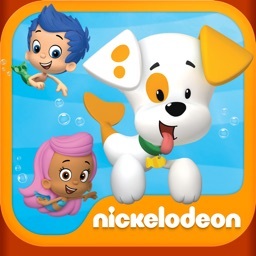 Send your child swimming into a fin-tastic play date with Bubble Puppy! Kids can dress him up in fun outfits, feed him all kinds of treats and groom him so he’s nice and clean. Plus, they’ll learn while playing math and literacy games. 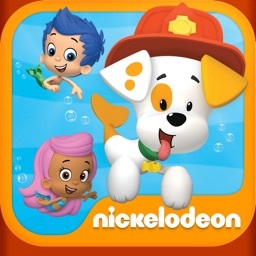 Kids can join Molly in the classroom to dress up Bubble Puppy as a playful pirate or a “ruff-ruff” rock star, and feed him his favorite Bubble Bites, healthy apple slices, and more! They’ll love brushing his teeth, combing his fur and turning on the shower to give him a barking good bath. It’s time to go outside so Bubble Puppy can play with Gil! 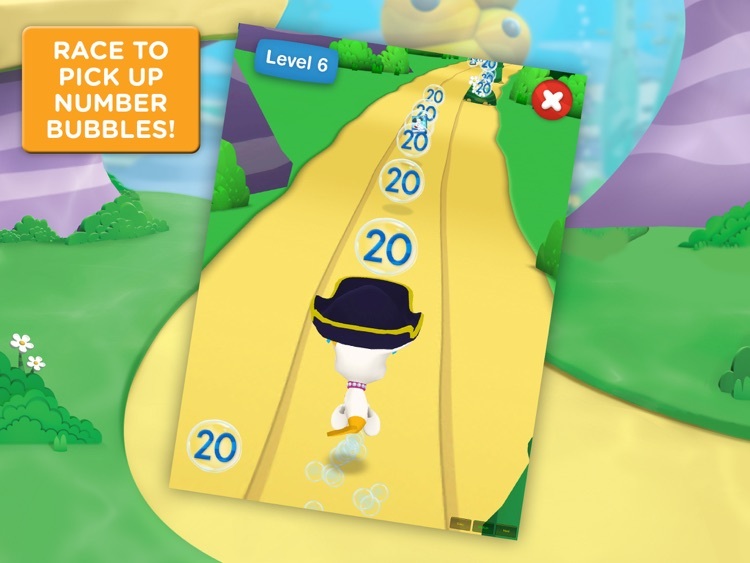 In Puppy Run, kids can help him race down a path to pick up number bubbles while they also jump over obstacles, dodge rocks and pick up speed boosts to make it to the finish line. 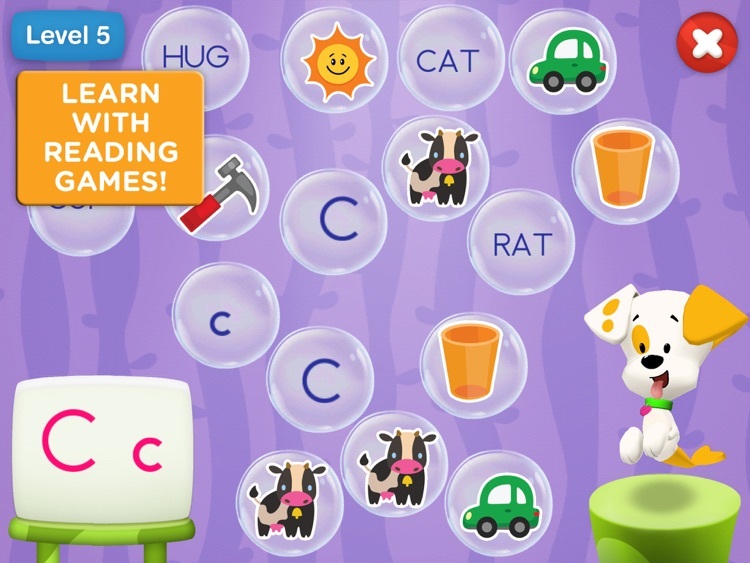 In the Bark, Bubble Puppy game, Molly needs your kids help getting Bubble Puppy to bark to make alphabet bubbles! 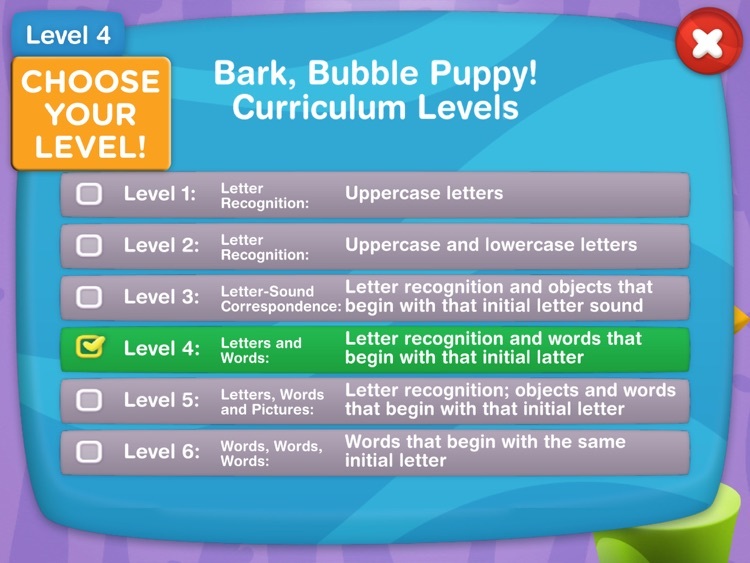 As kids match uppercase and lowercase letters, pictures or word bubbles, Bubble Puppy will pop them! Arf, arf! Every time kids play a game, they’ll earn bones for their Doggy Bag. 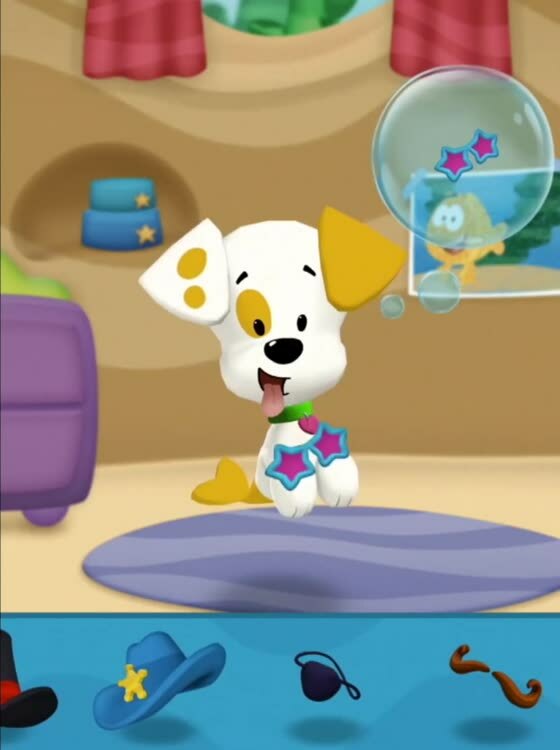 Bones can be used to unlock doggy toys for Bubble Puppy. 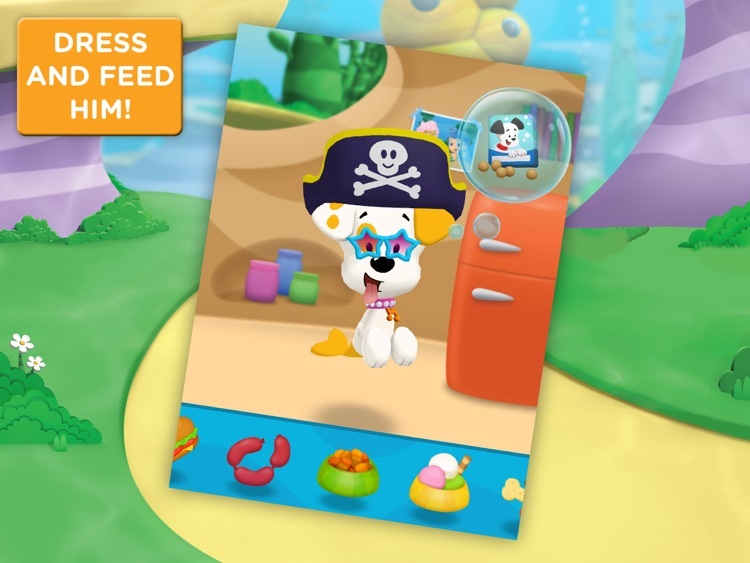 Kids can visit Bubble Puppy’s Doghouse to play with all the toys they’ve unlocked! They’ll love playing fetch or giving him a squeaky chew toy. Bubble Puppy: Play and Learn invites children to go on an exciting play date and build important cognitive, social and emotional skills along the way. •Curriculum Level Selector so you can choose the curriculum level that is just right for your child. There are six curricular levels in each game. Customization, creative expression and caretaking skills are fostered through over 30 feeding, grooming and dressing activities. 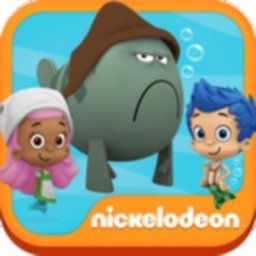 Together with Molly, sort bubbles and build literacy skills, including letter recognition, letter sounds and early reading. Six curriculum levels will keep your child challenged as they play. 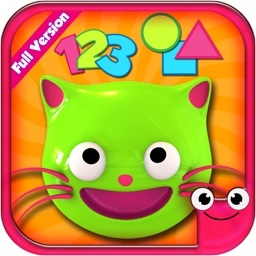 Together with Gil, collect bubbles and build math skills, including number identification (1-30), group identification and shape identification. There are six curriculum levels here as well. Math skills, such as counting and one-to-one correspondence, are reinforced through bones rewards that unlock new toys. There are 20 toys to be earned and unlocked. 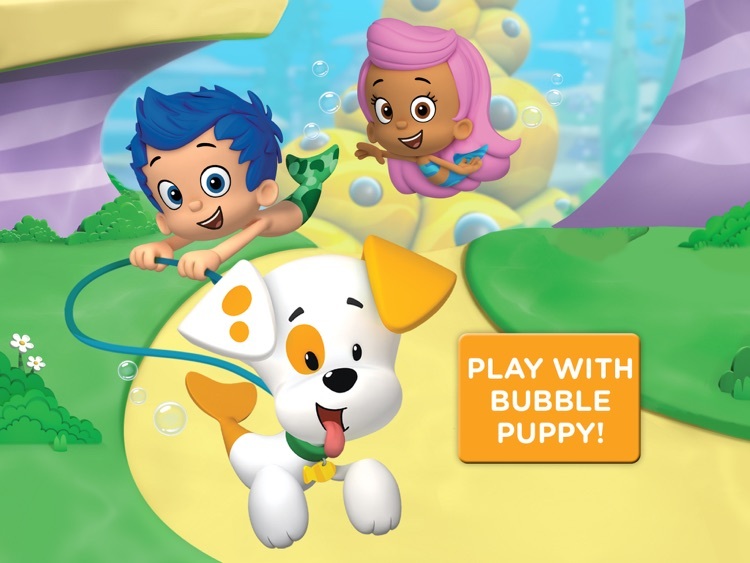 Taking turns is promoted through open-ended play with Bubble Puppy. And a special surprise when you have unlocked all the toys. •Game instructions delivered by Molly and Gil. •Player profiles that allow more than one child to play and save progress along the way.